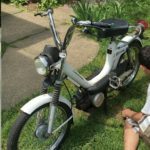 Moto Guzzi mopeds: There are two kinds of Moto Guzzi mopeds, US models. They are mostly the same except for different frames, wiring and lights. 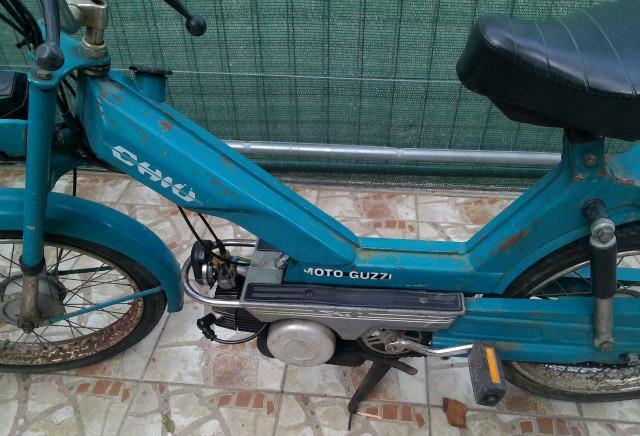 1978-79 Moto Guzzi (mono-tube): This is the mono-tube or tubone (thick tube with gasoline inside) Moto Guzzi, made by SEIMM Co., that is almost the same as the Benelli G2. See Benelli. 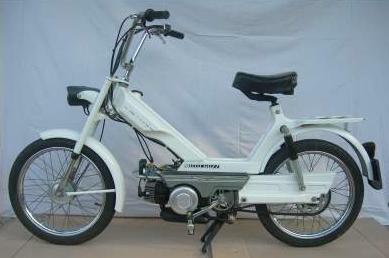 The 1978-80 mono-tube moped has a clockwise 3-wire Dansi 101813 magneto with an external ignition ground. So loose brake light wires can cause it to not run. See CEV/Dansi. 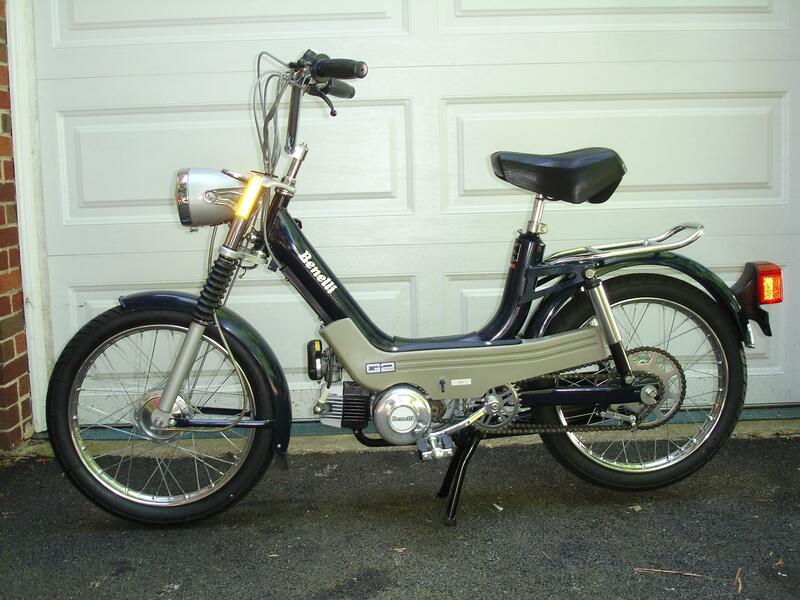 1980 Moto Guzzi (mono-tube): This is the same as the 1978-79 except for headlight is shorter, speedometer is in a black plastic housing above the headlight, side covers are black and not as long. 1977-80 Moto Guzzi Robin (sheet frame): This is a stamped sheet metal frame Moto Guzzi Robin, made by SEIMM Moto Guzzi S.p.A. Mandello del Lario Italy. 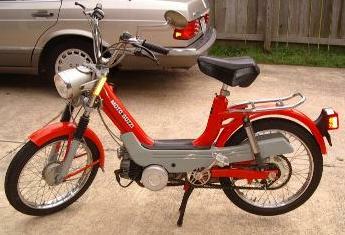 It is the US version of the Moto Guzzi Chiù. 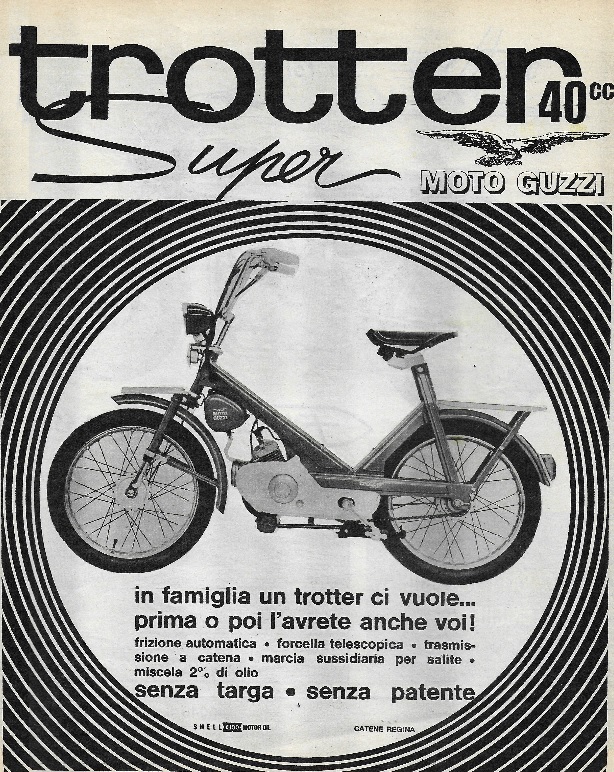 Moto Guzzi mopeds were imported to the USA and distributed by Berliner Motor Corp, Railroad St and Plant Rd, Hasbrouck Heights, New Jersey 07604. There were more sold in the New Jersey area. Almost none were sold in California. 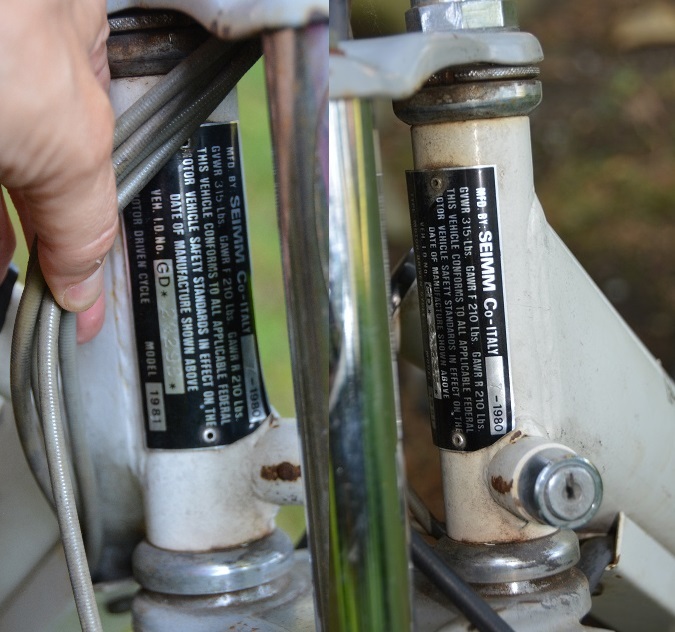 The 1976-77 sheet frame Robin has a clockwise 3-wire Dansi 101441 magneto with an internal ignition ground. The 1977-80 sheet frame Robin has a clockwise 3-wire Dansi 101813 magneto with an external ignition ground. Moto Guzzi Robin (sheet frame) components: 2.25-16″ tires, Benelli one speed automatic engine, Dellorto SHA 14/9 carburetor, #45 jet. Dansi 101441 or 101813 magneto, see above. CEV 2143 headlight, CEV 9350 tail light, CEV round chrome clamp-on switches, PV controls, Grimeca hubs (rear hub is special, Benelli only) and brakes, no speedometer (has front basket instead), LH speedo driver, 12×1 female spigot left or back gas valve. Moto Guzzi (mono-tube frame) components: 2.25-16″ tires, Benelli one speed automatic engine, Dellorto SHA 14/9 carburetor, #44 jet. Dansi 101813 magneto (external ignition ground type). CEV 2139 bullet head light, CEV 9400.2 tail light (with resistor for external ignition ground magneto), CEV plastic slide clamp-on switches, PV controls, Grimeca hubs (rear hub is special, Benelli only) and brakes, Veglia speedometer with LH driver, 12×1 female gas valve with special long detachable shaft that goes through a hole in the side panel. 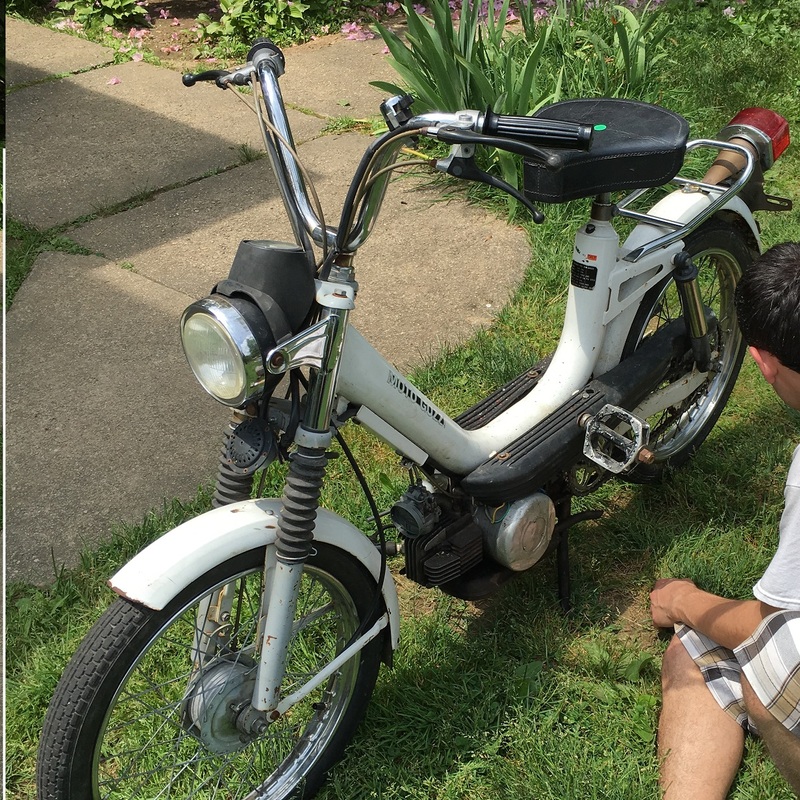 Project Moped Manual has the Moto Guzzi Robin (Chiù) owners, service, and parts manuals available for free downloads. 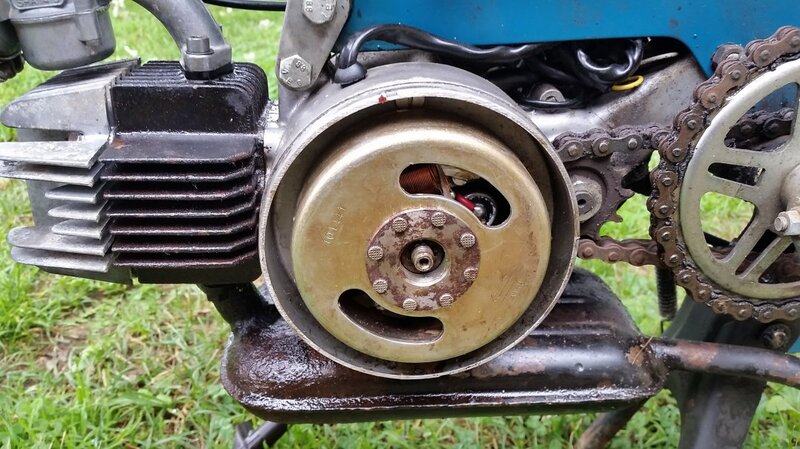 Harpers Moto Guzzi carries some Moto Guzzi moped parts. 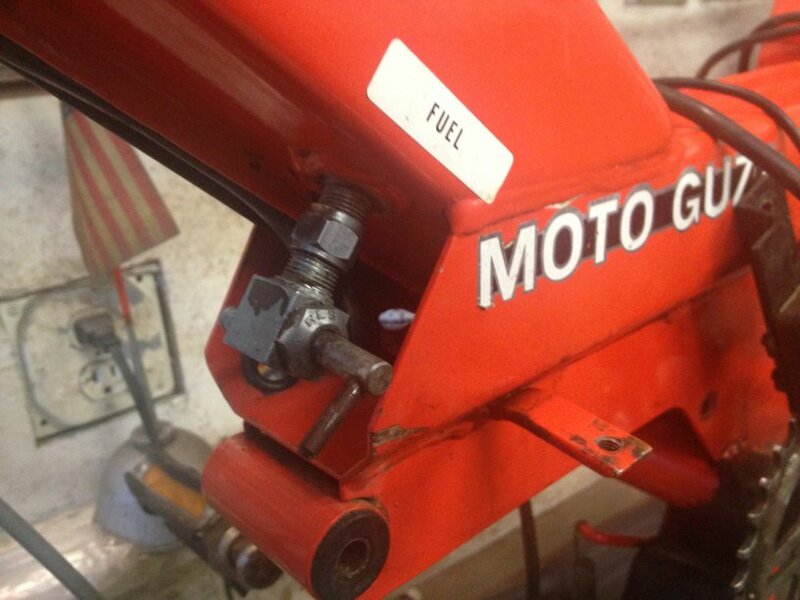 Myrons only has things that are on other Italian mopeds. 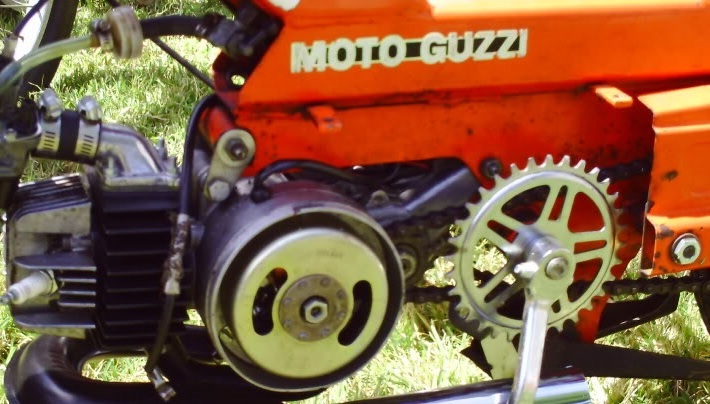 You are currently browsing the archives for the Moto Guzzi Parts category.